Our law firm focuses on handling serious injury cases including burn injuries, loss of limb injuries, brain damage, spinal cord injuries and other catastrophic injury cases. Our experience handling these cases help us to maximize the recovery for those who have been seriously harmed by the negligence of others. In the aftermath of a severe accident, victims are often left with serious injuries which can impact their way of life for years to come. Such incidents usually happen at a moment’s notice and catch the unsuspecting victim by complete surprise. Victims who suffer serious injuries as the result of the negligent actions of another endure incredible physical and emotional pain. This pain and suffering places an immeasurable emotional burden on the family of the victim as well. If you or a loved one have been stricken with a serious injury, contact an elite Little Rock personal injury attorneys at the Law Office of Thomas G. Buchanan right away. No matter the source of your or a loved one’s injury, the top Little Rock serious injury attorneys at our law firm will passionately pursue the justice you deserve. As the rate of injury for Arkansas is higher than the national average, people are more likely to incur injury, and thus these citizens will need reputable representation they can rely on in these hard times. Personal injury accidents are serious legal matters that require expert legal consultation from a caring, courageous and committed attorney. When you are faced with the turmoil and expensive problems that are generated by personal injury accidents, call the law office of attorney Thomas G. Buchanan for expert legal advice. We stand ready to provide expert legal representation in the Little Rock, AR, area and nearby states. 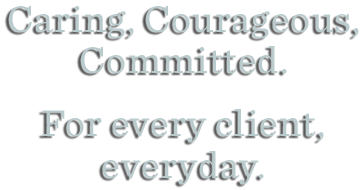 We pledge to provide the important benefits of large-firm sophistication and experience in a small-firm atmosphere for each client we represent. At the Buchanan law office, you receive personal attention and responsiveness from people that are approachable and energetic. You will enjoy working with Tom and Beth, who together offer you a combined 13 years of legal expertise and experience winning personal injury cases. Our specialty areas of law include: personal injury vehicle accidents, nursing home and family law matters. What sets the Law Office of Thomas G. Buchanan apart from others is our reputation for excellence and our dedicated ability to maximize the value of each case. We have high standards and aggressively strive for results that are reliable and consistently above those of attorneys that are just after a quick settlement. We are the elite firm that other lawyers call in when stakes are high; we are not a mill. As a client-focused firm, we carefully hand-pick each case so we are able to leverage our resources to your best advantage. 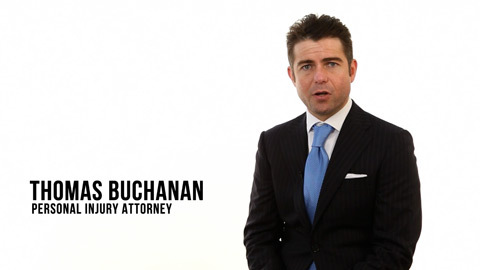 No case is too large or complex for the Law Office of Thomas G. Buchanan. Wrongful deaths or serious accidents that involve automobiles, buses, trucks, or trains are life changing events for our clients. Our job is to ensure the best possible outcome for each client, especially when negligence is a factor. We practice law with tenacity and integrity, for every client, and are proud of our legal track record. With the potential major expenses that are often racked up following an automobile, bus, truck or train accident, it is important to begin establishing your legal position right away to preserve all your rights to fair compensation for those personal injuries. If you or someone in your family has been injured in a vehicle accident or other personal injury incident, call our law firm immediately at (501) 296-9820 and ask for an initial consultation to review your case. For additional information about our services and skills, please review our website and add it to your favorites list: www.thomasbuchananlaw.com. When legal problems look like mountains, call in the equalizer, attorney Thomas G. Buchanan – caring, courageous, and committed – for every client, every day. We regularly accept tough, challenging, and high-stakes serious injury cases that others simply turn down or shy away from. The pain and suffering after serious injury can last a lifetime; victims will need a total compensation figure that will continue to provide for them, long after their accident took place. Many of our serious accident clients sought fair compensation for their injuries, and we are proud that our average resolution is about $500,000. Contact the experienced Little Rock serious injury attorneys at our law firm today. With our unparalleled legal expertise we can help you towards a maximum recovery for your injury or loss. Our law office can be reached at 501.296.9820. Alternatively, you can contact us via e-mail and we will respond to you in a timely manner. Contact us today to seek the total compensation you are entitled to for a serious injury. Thomas G. Buchanan is an energetic, diligent and passionate trial lawyer in Little Rock, Arkansas. He is 100% committed to obtaining justice every day for every client and every case. He is "AV" rated which is the highest rating given by the prestigious Martindale-Hubbell Law Directory. Tom’s energy, diligence and passion for obtaining justice on behalf of injury victims has earned him the reputation as one of the most tenacious and skilled courtroom advocates.